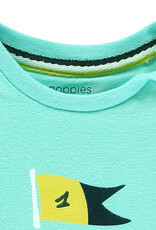 Longsleeve Redford by Noppies is made of supple cotton. 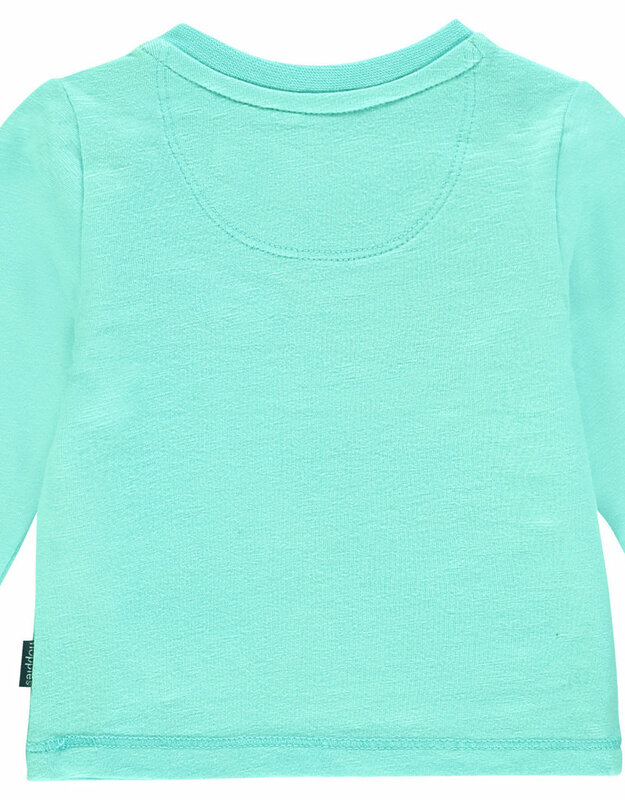 The added stretch makes the top wonderfully comfy to wear, allowing your baby to move around freely. 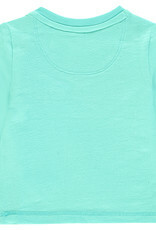 In addition, the shirt has a round neckline with press studs to easily pull the longsleeve over the head. 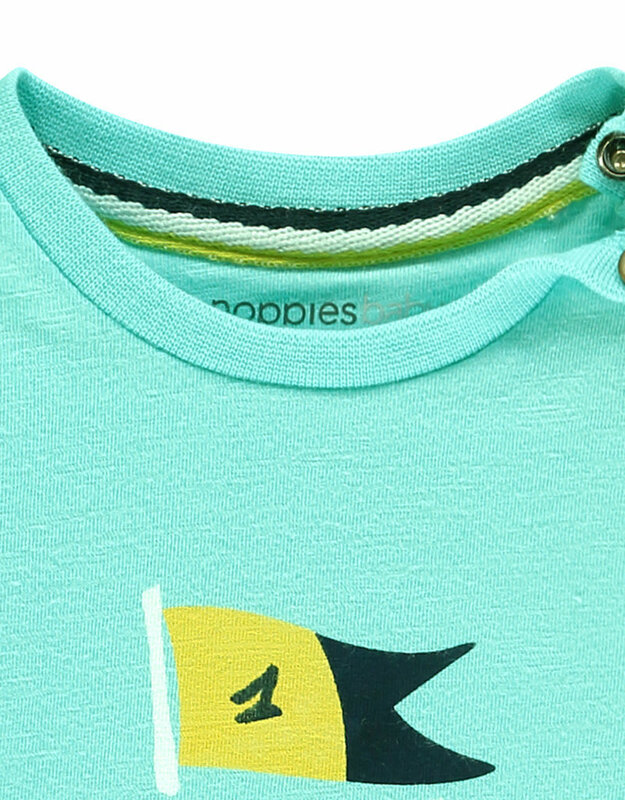 The item has a fun print with a flag on the front. 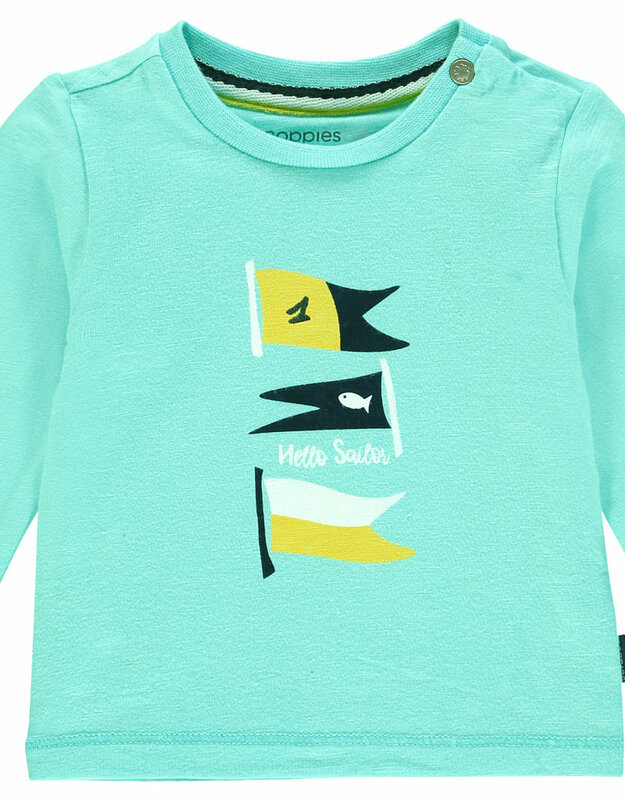 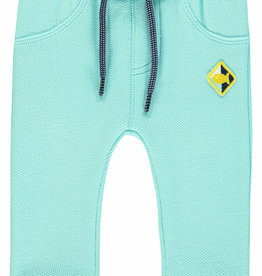 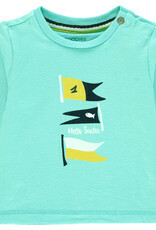 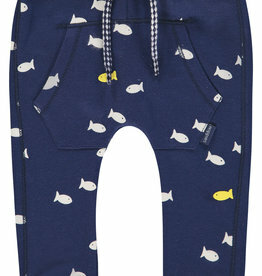 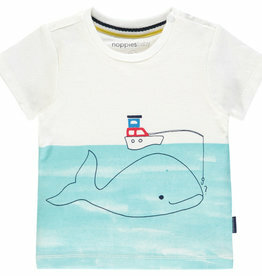 This top pairs perfectly with Noppies Aqua Jogger & Fish Jogger.